This section of the “Périphérique Central de Beyrouth” is the main part of “Hazmieh Comlex”. On one end, it constitutes a link between previously executed sections such as “A3-A1” and existing Damascus Road, and on the other end, the final part of “Section B” that links Beirut-Damascus Road to the Airport Boulevard. The project will also deal with providing better accesses to the Presidential Palace and Baabda/Hadath area in all possible directions. The design has been modified in 2010 to suit latest demographic inflation and nearby project update. 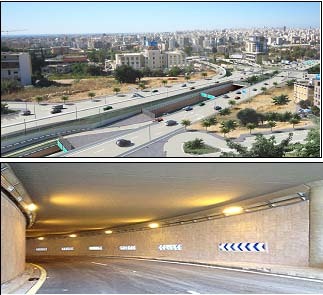 A Main Highway linking Beirut-Damascus Road to Beirut Entrances/Exits (0.8Km). 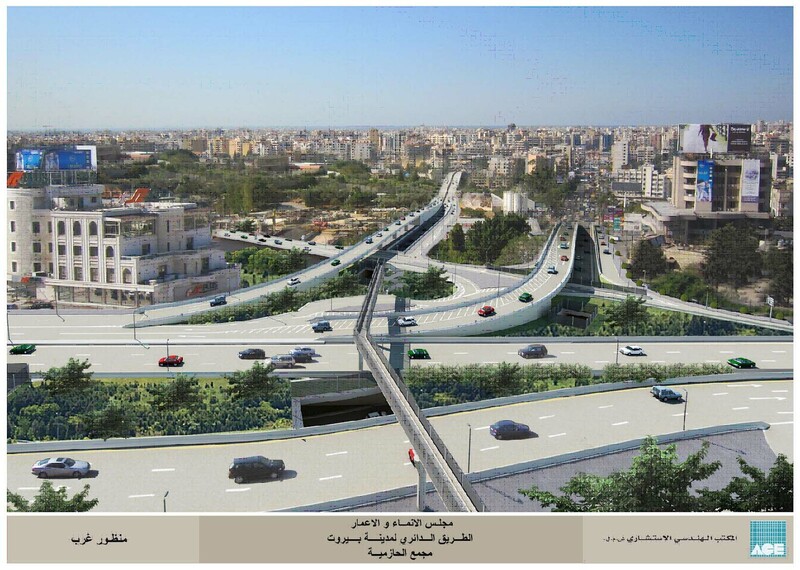 A Highway linking Beirut-Damascus Road to the executed 'Section B' leading to the Airport Boulevard (1.0Km). 5Km of Service and Lateral Roads. 600m of Viaducts (Post-Tensioned Viaducts, Girder Beams, Reinforced Concrete Deck Slabs). 400m of Tunnels and Underpasses. 2 Pedestrian Bridges of 180m total length. 3Km of different types of Retaining Walls and of 13m maximum height. Utility Services including Storm Water Drainage, Sewerage System, Potable Water, Telephone Ducting, Street Lighting, HV, MV and LV Electrical Cabling Networks, as well as the relocation of some existing utilities. Traffic Signing & Road Markings, and Safety Installations. Soft & Hard Landscaping Works. Field investigations, traffic studies, topographic and geotechnical investigations, detailed design and preparation of tender documents, full supervision on the project construction.